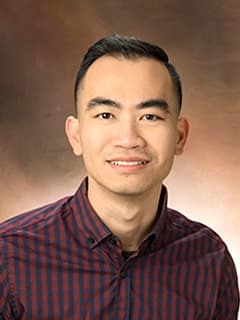 Mark Jason O. Ramos, BS, is a Data Analyst in the Center for Pediatric Inflammatory Bowel Disease at Children's Hospital of Philadelphia (CHOP). Robert W. Grundmeier, Evanette K. Burrows, Mark J. Ramos, Jon M. Burnham. Pediatric chronic glucocorticoid therapy: treatment, screening and prevention patterns for adverse events. Poster Presentation at the Pediatric Academic Societies Annual Meeting. Vancouver, BC, Canada, May 2014. Deepak Palakshappa, Caitlin Elgarten, Senbagam Virudachalam, Robert Grundmeier, Louis M. Bell, James Massey, Sarah Dziedzic, Alan Tuttle, Mark Ramos, Saba Khan. Implementing a Food Insecurity Screening Tool Using the Electronic Medical Record at the Three Academic Primary Care Centers. Poster Presentation at the Pediatric Academic Societies Annual Meeting. Vancouver, BC, Canada, May 2014. Hogan A, Karavite D, Fiks AG, Lorch S, Song L, Ramos M, Localio R, Grundmeier RW. Clinical Decision Support and Premature Infants: A Means To Protect from Respiratory Syncytial Virus. Pediatric Academic Societies 2013 Meeting, Washington, DC. E-PAS2013:2165.7, May 2013. Grundmeier RW, Song L, Ramos MJ, Fiks AG, Elliott MN, Fremont A, Wasserman RC, Localio R. Imputing Race and Ethnicity for Healthcare Disparities Research. Pediatric Academic Societies 2013 Meeting, Washington, DC. E-PAS2013:4335.2, May 2013. Grundmeier RW, Hogan AK, Karavite DJ, Song L, Ramos MJ, Massey JJ, Localio R, Fiks AG. (April 2012). Premature Infants and Respiratory Syncytial Virus: A Failure To Protect. 2012 Pediatric Academic Societies Meeting, Boston, MA. Gerber JS. Grundmeier RW, Hogan AK, Karavite DJ, Song L, Ramos MJ, Massey JJ, Localio R, Fiks AG. (April 2012) Variability in the Diagnosis and Treatment of Group A Streptococcal Pharyngitis in Children. 2012 Pediatric Academic Societies Meeting, Boston, MA.